Meticulously maintained and in regular use all their short lives in Orange, VA, in excellent condition. Includes Cypres AADs with original jump count. Available with a new Vigil 2 if you rather. Check them out, they are a great deal for the price. Always packed indoors out of the sun. There might be two small patches on the main parachute- this is my general disclaimer just in case I overlook a patch when I write these descriptions. Email Us with any questions. We can usually ship in two working days of when we get a bank verified wire transfer or cash, or 2 weeks of when we get your Postal Money order or check. Include a note reminding us what you want, your complete address and phone #. Shipping to a business address where there is someone there during the day usually works well. No Virginia sales tax if we ship to states other than Virginia or out of the US. Not responsible for import duties or VAT's. Shipping cost is negotiable. Shipped with the rigger’s seal removed but ready to go to work for you after your rigger inspects and repacks. 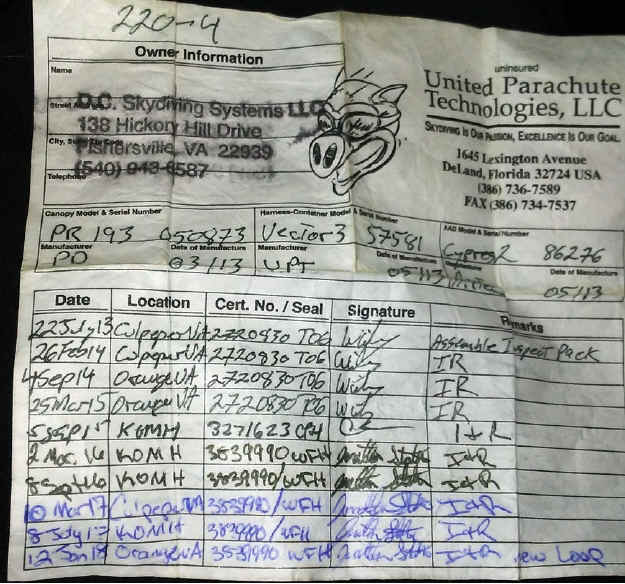 It seems our reputation for selling great quality slightly used tandem and student parachute systems has gained the trust of buyers in the skydiving industry. As I typically buy and sell 6-15 complete rigs every year, we have zero tolerance for any risk involved in the sales transaction. Used student rigs can be an excellent, very reasonably-priced, complete "Big Boy" rig for the heavier, older, or less-experienced skydiver. 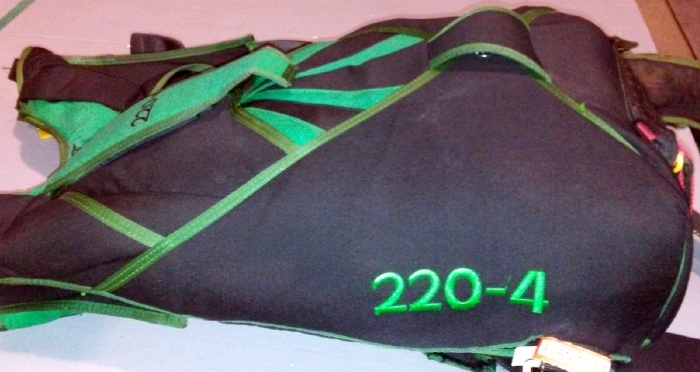 This parachute system makes a great first rig for the conservative low time skydiver who wisely wants a few extra square feet of canopy overhead for a little extra margin of canopy control safety. Complete parachute/harness container system. 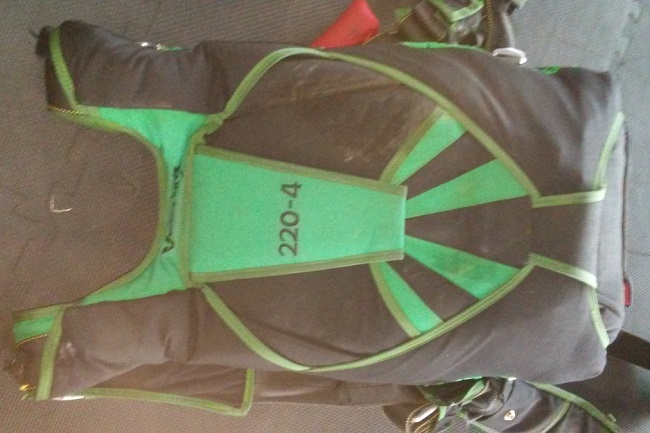 Equipped with “BBOC” student AFF handle, SKYHOOK RSL, throw-out Zero-P kill line pilot chute, adjustable harness (both MLW and stabilizers). Contact us to schedule a time to come by and take a look. All used rigs are offered for sale as is with no guarantees. Listed April 21, 2018, and expected to sell rather quickly. 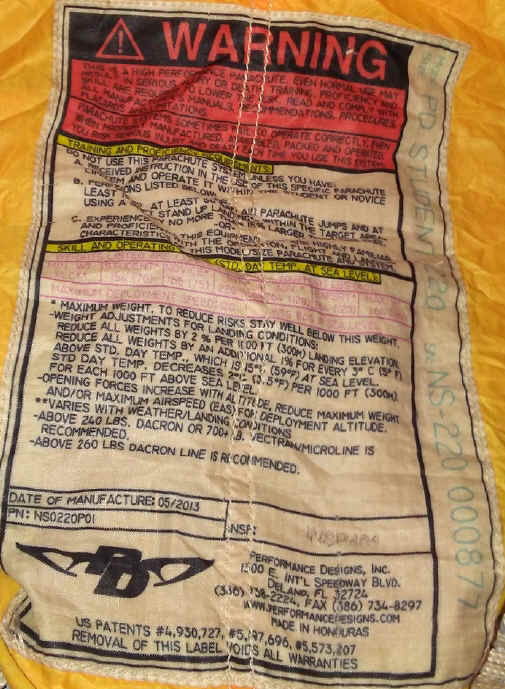 452 jumps, no reserve rides, $4,500, and we can probably help with shipping cost. Email Us to be on our notification list for when we have more good used rigs available.